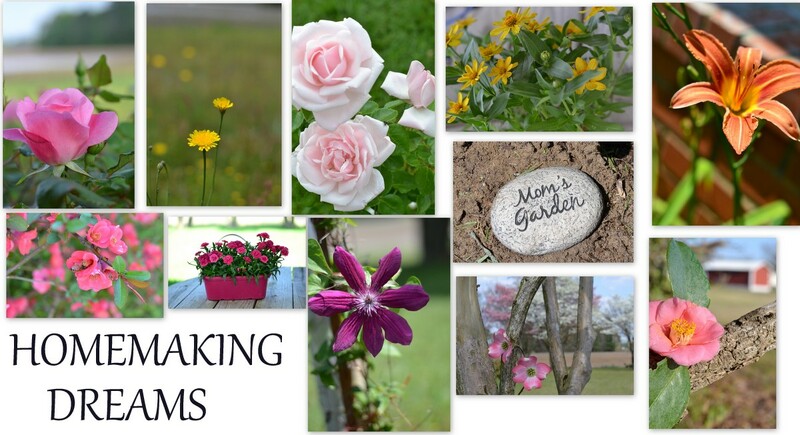 HOMEMAKING DREAMS: Happy Fourth of July! 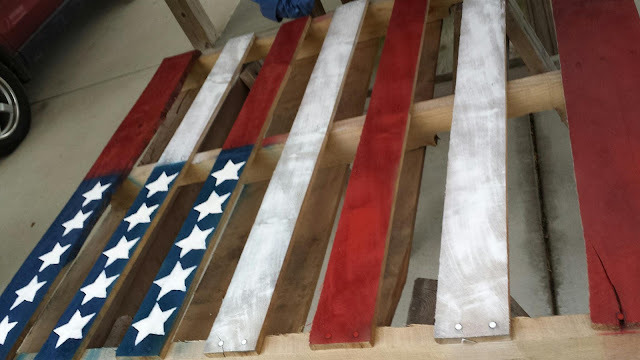 I have been wanting to make a pallet flag for a long time. 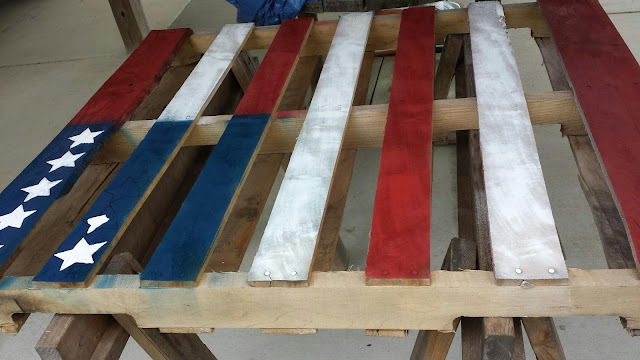 My hubby got me some pallets and I got to work. The stars were tedious work but I like how they turned out. 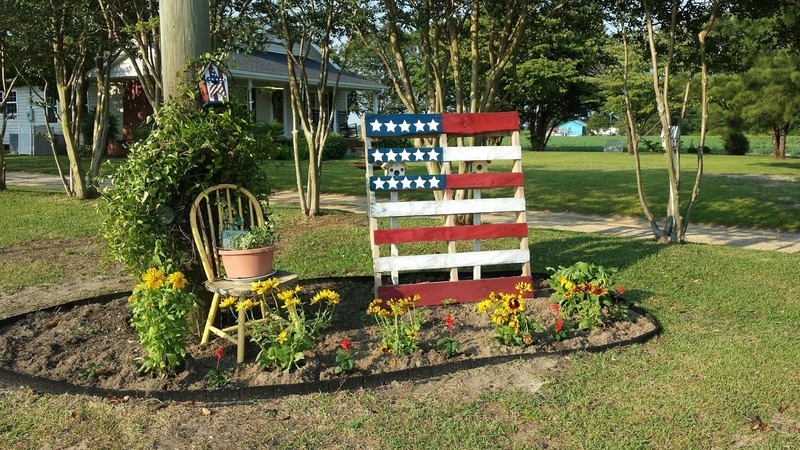 A storm came the day after I got this set up and blew the pallet flag over on my flowers! Aaackkk! Hi Debbie, your project looks great! Looks great! I have been eyeing one on the porch of a home as I drive down the street to my parents home. It make me happy every time I see it. Love it Debbie! So patriotic. My neighbor has one that I admire from my house. Love it!!!! I always love how those types of projects look but I'm never ambitious enough to try it myself. Great job. Your project turned out super cute! I'm loving it with the chair and flowers! That turned out great! I've been meaning to make one for a couple of years, and just haven't done it. I love the way you displayed it, too!